Over the course of NHL history, there have certainly been more than a few lopsided trades. They come together for different reasons, but ultimately, the team that makes the blunder is remembered that way for the rest of time. For the Vancouver Canucks, they’ve been on both ends of things. Getting Markus Naslund, one of the game’s best scorers for a few years at the dawn of the 2000s, for Alex Stojanov was certainly one of the most lopsided deals ever. But in June of 1986, the Canucks took part in a deal that was so lopsided, the impact was still being felt more than 25 years later. On June 6, 1986 the Canucks dealt Cam Neely and a first-round draft choice in 1987 (third overall, Glen Wesley) for Barry Pederson. At the time, the deal made sense for both sides: Neely was playing behind Stan Smyl and Tony Tanti, so he wasn’t getting much in the way of ice time. Pederson, meanwhile, was a pretty strong offensive presence. He’d had a pair of 100-point seasons in Boston, though his last two years he battled injuries. In Vancouver, Pederson never regained his touch and injuries derailed what was left of his career. He would play in just 233 games for the Canucks, scoring 197 points, before being traded to the Pittsburgh Penguins on January 8, 1990. Neely, meanwhile, only became one of the premier power forwards of his era. From 1986-87 through 1990-91, he never scored fewer than 36 goals and 69 points, topping the 50-goal mark in back-to-back seasons to start the ‘90s. Unfortunately, during a playoff game in May of 1991, Neely was hit by Ulf Samuelsson. The result of the hit was a knee injury that would develop into myositis ossificans, affecting him for the remainder of his playing career. He would have a brief resurgence in 1993-94, scoring 50 goals in 49 games, but never managed to play another full season in the NHL. If that weren’t bad enough for the Canucks, it doesn’t stop there. Wesley was traded to the Hartford Whalers in 1994 for a trio of first round draft picks: 1995 (Kyle McLaren), 1996 (Jonathan Aitken) and 1997 (Sergei Samsonov). Samsonov would have a few impactful seasons in the late ‘90s before falling off the map. McLaren was then traded with their 2004 fourth-rounder (Torrey Mitchell) to the San Jose Sharks in 2003 for Jeff Hackett and Jeff Jillson. Samsonov, meanwhile, was dealt to the Edmonton Oilers for Marty Reasoner, Yan Stastny and the Oilers’ 2006 second-round pick which turned out to be Milan Lucic. 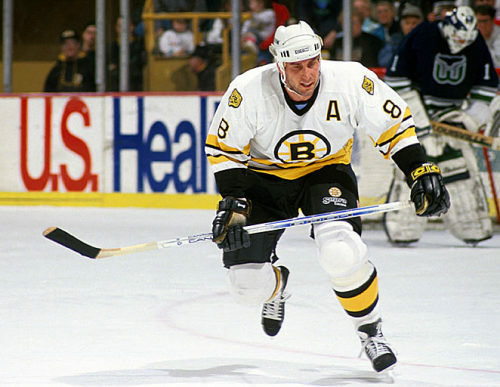 Go figure, the Bruins get modern-day Cam Neely out of the Cam Neely trade. Some teams have all the luck. Jillson was traded to San Jose in 2004 for Brad Boyes who was then traded to the St. Louis Blues in 2007 for Dennis Wideman and then Wideman was traded with Boston’s 2010 first-round pick (Derek Forbort) to the Florida Panthers for Nathan Horton and Gregory Campbell. The Bruins worked the Canucks so hard, they got the best power forward of the early ‘90s, one of the best power forwards of today and several valuable pieces in between. Now THAT is a lopsided trade. But don’t worry, Canucks fans. It happens to every team some time.